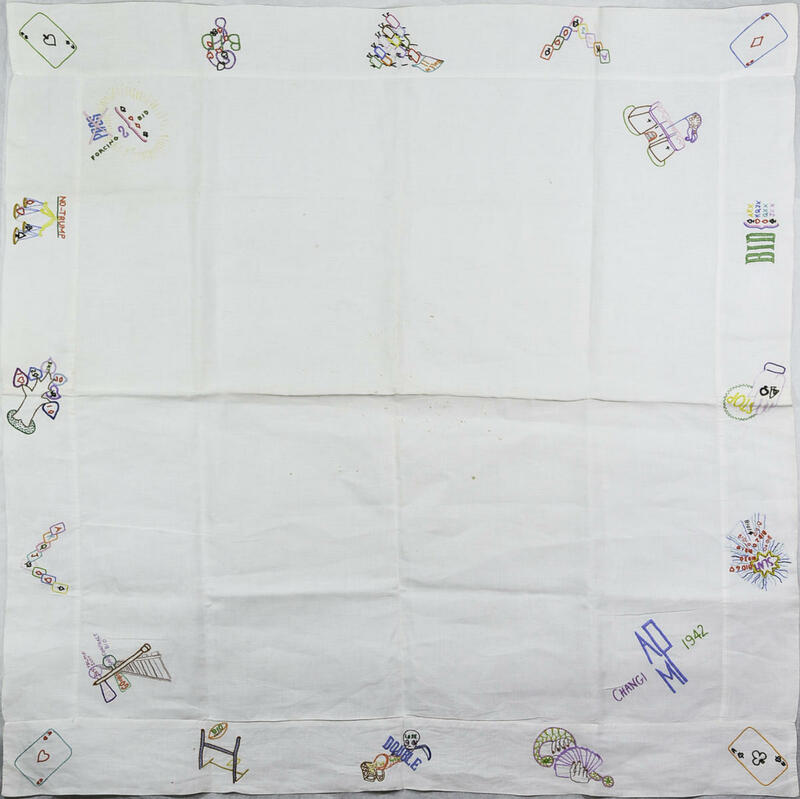 Tray cloth made in Changi gaol by Janet Watson Jeffries, possibly mentioned in a letter to her mother. The cloth has been embroidered around the edge with images of playing cards and was possibly used to play bridge. The initials AMP Changi 1942 have been embroidered in one corner. The initials stand for Addie M Pape, a friend of Janet Watson Jeffries. 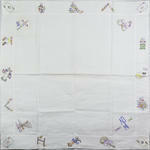 Janet Watson Jeffries also contributed to a square on the Changi quilt and her name to the silk signature panel.